All EMV®- Chip Debit Cards Have Shipped! 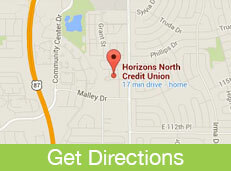 Horizons North Credit Union has completed transitioning our old debit cards to new chip cards also known as EMV. Your new cards are equipped with the new industry standard in fraud-fighting capabilities. It’s called EMV® technology, and it makes your card nearly impossible to duplicate. Working through a tiny chip in your card that communicates with EMV terminals at businesses that have installed them, EMV technology complements the security features you already have. It provides more-sophisticated verification of your card, so you can feel even more secure. Our new, higher security cards have completed shipping. Please make sure you activate your new Visa® debit card no later than February 7th. Non-EMV debit cards will be deactivated after February 7th. Please note this means you will no longer be able to use your old debit card for any transaction, including automatic payments, after February 7th. Your old PIN did not transfer to your new card. Please call 303-451-1146 if did receive a new PIN number. I received my debit card and the PIN number was not with it. For security reasons, the PIN for your Debit Card will arrive separately. 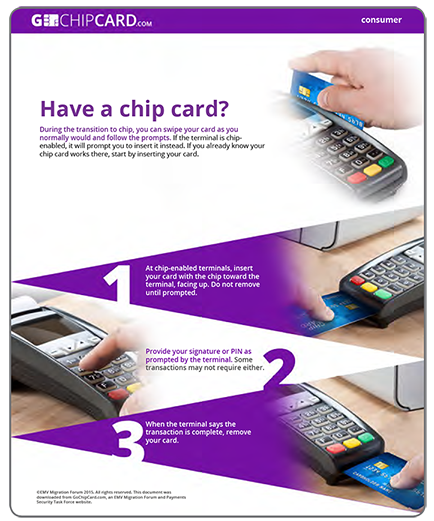 Merchants will require the PIN at point of sale when using your new EMV card. Please make sure you have received your new EMV PIN and it works before destroying your old card. If your new chip card shipped in 2016, your old card has been deactivated. All non-EMV cards will be deactivated and closed on February 8th. I did not receive my card. Please call 303-451-1146. For more information on the industry's migration to chip technology, visit GoChipCard.com.